Photo credited to Mel Nudelman at NYSE Group, Inc. 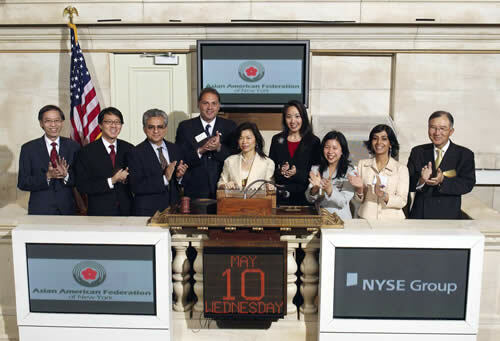 The Asian American Federation opened the New York Stock Exchange on May 10, 2006 in celebration of Asian Pacific American Heritage Month. Gina Lin Chu, Asian American Federation "Philanthropist of the Year," rang The Opening BellSM to the Exchange.